There are a few things that always travel with us on vacations. Since we have already started a giveaway on an ice cream maker and hammocks, it’s time to do games! We LOVE family game night and try hard to play even at home once a week if we can. 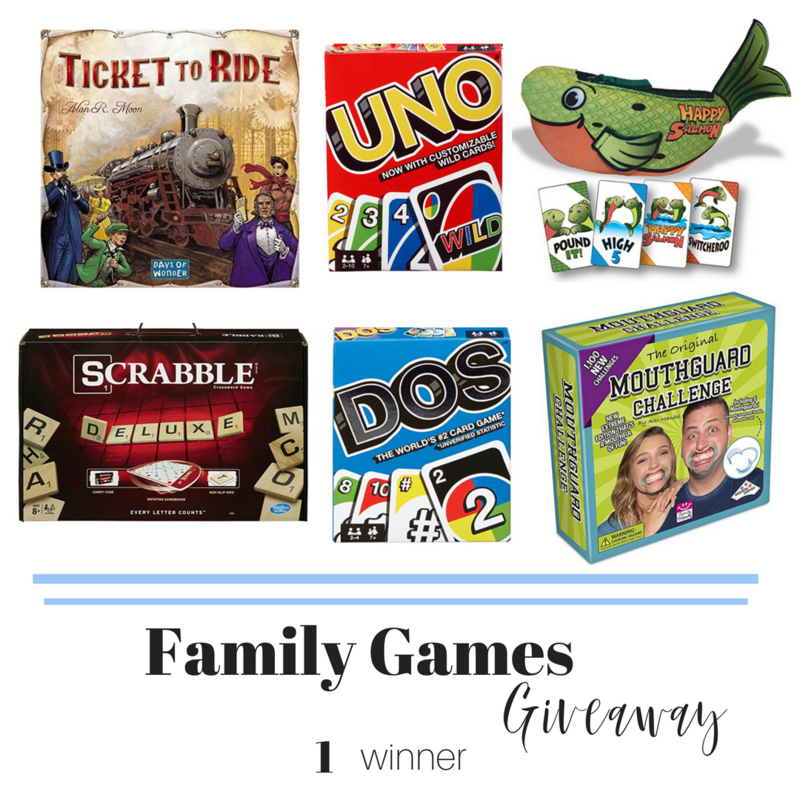 For today’s giveaway enter to win all our favorite family games! Many can be played by kids of all ages and will make for sweet memories. This is a big giveaway, with all prizes going to one winner! If you already have some of these then you have my permission to regift them… it’s the only frugal thing to do.